Sweeten it for the perfect coffee. 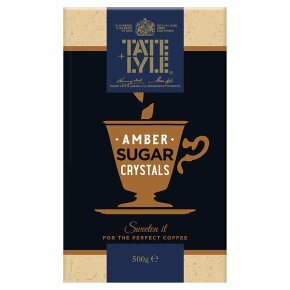 Kosher - KLBD.For something a little deliciously different in your cup, Tate & Lyle Amber Sugar Crystals are specially grown to dissolve slowly in your coffee. Sip after sip, transform your special moments with a sweeter and more flavoursome experience.